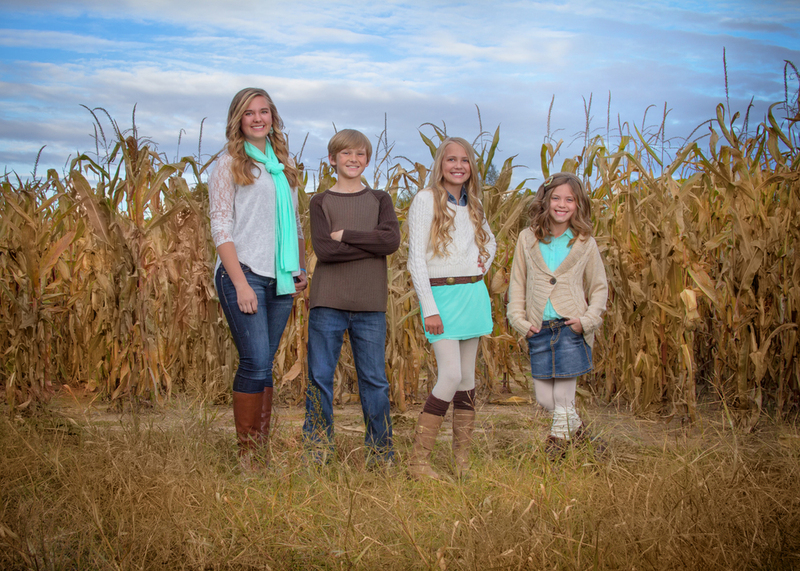 Michigan, Portage Potographer: UPDATE 2015 What to wear for Fall Family Photos! UPDATE: Last year I chose to photograph my kiddos in one of my favorite color schemes - jeans with browns/tans and pops of mint!! We love how our 'Children of the Corn' shot turned out!! Family portraits any time of year are hard to pull together! Choosing clothing that works on each family member and doesn't clash with the group can seem impossible. Soooo, I'm handing over a few tips that I use to take the stress out of dressing your family for Fall portraits. I hope my favorites will give you inspiration to pull together your Fall outfits with a little less stress! Fall Family Mini-Sessions on October 17th & 24th, 2015! !